Why let complicated immigration rules get in the way? According to a report by the Institute of International Education, there were almost a million foreign students studying in the United States during the 2014–2015 academic year. In fact, the United States has become the destination of choice for many foreign students due to the exceptionally high number of high-quality U.S. schools, colleges, and universities. Couple that with the fact that most American schools base their admittance criteria around a combination of qualifications, not just a single exam like in India or China. As such, many foreign students choose to study here. They know they will get a world-class education, and gain meaningful life experiences. This also applies to their American counterparts. Everyone benefits and grows from diverse environments. At the age of 14, I packed two suitcases and moved to the U.S. to attend a boarding school. Born and raised in a working-class family in Hanoi, Vietnam by a public school math teacher and an ex-soldier-turned-photojournalist, I had always dreamed of studying in the U.S. I was inspired by stories from my cousins who grew up first-generation American. Searching for high school options abroad, I knew this country was my best option. And I received a full scholarship to attend Verde Valley School, a private international boarding school in Sedona, Arizona. My story is not unique. Every spring, thousands of students receive good news from their dream schools, and begin a summer-long process of paperwork to prepare for their journey abroad to study, learn and grow. But once they select a school, and get accepted, the next major hurdle includes getting a student VISA, because without one, acceptance letters are moot. I can’t imagine how devastated it would have been to have worked so hard to get a scholarship, only to see it slip away. 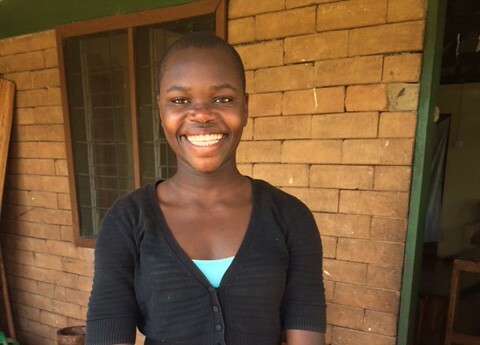 I recently heard about Gloria Akello, and her story reminds me of why the U.S. Immigration system should be friendlier to students, especially those with a disadvantaged background. Growing up as an orphan in once war-torn Uganda, 14-year-old Gloria met Jared Hill, a UPS pilot who brought his family to Northern Uganda while helping to provide safety and support to an orphanage in Karuma. Gloria was recently accepted to attend the International School of Indiana, and has the financial and legal support of the Hill family. But the State Department won’t approve a student VISA for her due to a “lack of ties to her home country.” Since her father’s passing at the age of 7, her status as an orphan has, in fact, strengthened her ties to Uganda. Growing up with other children with similar backgrounds and circumstances, Gloria understands what a great opportunity an American education will provide her. She wants to return to her country after she’s completed her studies to help improve the lives of others. I think it’s a tragic mistake to deny this young girl the opportunity to better herself. I regularly reflect on how brave my parents were to let me pursue my education in a place they themselves had never visited. This time, it’s Gloria who’s brave. She’s beat the odds despite unfortunate life circumstances. She now wants what we all want for ourselves and our children- a good education. Without a world-class education, I wouldn’t be the person I am today. And I can vividly imagine the bright future Gloria will have if she’s allowed to take advantage of this amazing education opportunity. So what can you do? Each of us can help Gloria and the thousands of students who are denied an opportunity to pursue a better education by sending a message to First Lady Michelle Obama, who is devoted to educational opportunities for women and girls, and Secretary of State John Kerry, who understands the importance of educating the next generation. It’s refreshing to know that people care enough to create a movement to help Gloria get the education she deserves. Thanks to the generosity and support of UPS employees, #LetGloriaLearn is building momentum. It’s an active campaign people are signing on to every day in support of Gloria and her will to learn and grow. Let’s keep it going. Send a message!